As the transatlantic trade deal negotiations increasingly make the headlines in newspapers, chlorinated chicken has emerged as a symbol of the detriments European consumers can face if the TTIP (Transatlantic Trade and Investment Partnership) deal is signed. Though the thought of eating chicken washed with chemicals we use to clean our bathrooms will prove disturbing to many, I would like to delve deeper into why we believe that Europe should authorise neither chemical washes such as chlorine or peroxyacetic acid on poultry carcasses nor the importation of chemically treated chicken meat as it bids to secure a trade deal with the US. The poultry industry on both sides of the Atlantic faces the critical question of how to produce safe meat for consumers which won’t contaminate them with harmful bacteria such as salmonella or campylobacter. For years, in the US, instead of preventing that chickens get infected with pathogens during all stages of rearing and slaughter, the poultry industry has resorted to chemicals to eliminate bacteria at the end of the meat production chain. In other words, chemical washes aim to make up for inadequate hygiene on farms and abattoirs. In contrast, the EU has chosen another strategy to fight meat-borne bacteria. The philosophy of the ‘farm to fork’ approach is essentially based on the wise proverb prevention is better than cure. The farm to fork approach requires a series of steps all along the production chain to ensure food sold to consumers ultimately is safe. In the case of poultry, hygiene stipulations at farm level include the use of dedicated clothing and footwear by farm workers to avoid bringing bacteria into poultry houses. This must be complemented with proper transportation conditions as well as hygienic slaughtering and processing practices. EFSA, the European Food Safety Authority, recognises that ‘’(the) public health benefits of controlling [zoonotic pathogens] in primary broiler production are expected to be greater than control later in the chain as the bacteria may also spread from farms to humans by other pathways than broiler meat”. Fighting bacteria at each step of animal farming is more efficient, as it prevents contamination in all forms of transmission. Take the example of the food-poisoning inducing bacteria campylobacter. Handling, preparation and consumption of chicken meat may only account for 20% to 30% of human cases of the disease caused by this pathogen. By contrast, 50% to 80% of cases may be attributed to the live chicken “reservoir”, even though the transmission pathways are not yet well understood. This is why we believe the European approach to meat safety is more efficient in protecting public health. What is more, as long as good hygienic practices are complied with and food safety management systems (HACCP) are well managed by food business operators – as required by EU law – there should be no need for additional treatments of meat. Essentially, what we are concerned about is not just the chemical itself, but rather the risk that these treatments will be seen as the “easy fix” to clean up dirty meat. Let’s be clear – no chemical rinse will ever remove all bacteria from meat heavily contaminated as a result of poor hygiene. It is also important to bear in mind the slaughterhouse workers among whom the risk of respiratory diseases after inhaling poultry chemicals could increase. Then we have the risk related to the emission of chemicals into the environment via poultry plant’s effluence. European countries have taken the lead in raising healthier poultry. Of course, there is room for improvement, as the fight against meat-borne illnesses is not won yet. But the EU has chosen an approach which is scientifically sound, has proven its efficacy provided it is properly applied and – most importantly – achieves its goal without the use of chemicals. We should not and cannot sacrifice public health levels and consumer protections in exchange for negotiating advantages in TTIP. At the end of the day, it’s also important to take into account what consumers want. 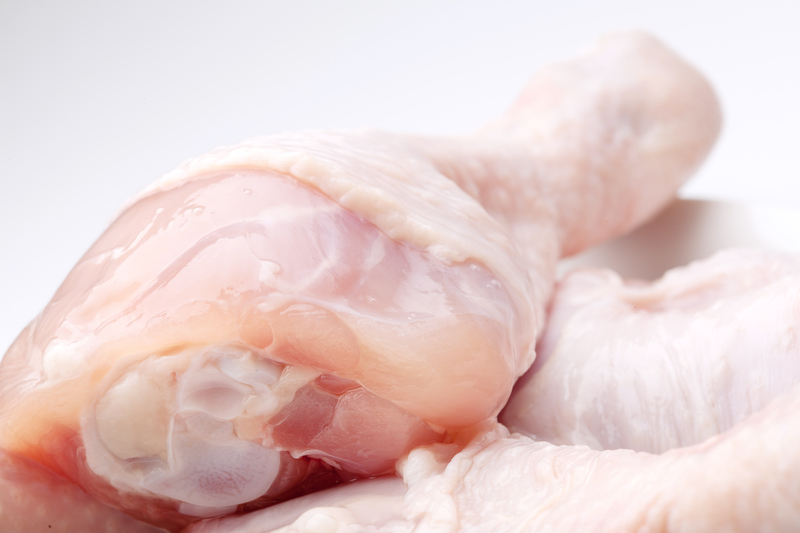 Consumer research in European countries such as the UK, Finland and Denmark show the overwhelming majority of consumers have no appetite for chicken washed in chemicals. We are told not to worry as the future TTIP deal will not make the slightest reference to chicken or chlorination. Of course it won’t. And it does not even have to. Just like lactic acid rinses on beef, poultry washes approval by the EU could just be one of these “confidence building” steps in a bid to secure a trade deal. And yet we will continue to hear it is totally unrelated to TTIP. From a consumer point of view there is no added-value or justification to throwing our approach overboard and paving the way for chemically treated poultry to enter our market. I can imagine it is hard for trade negotiators (and some business lobbyists) to accept, but let’s just acknowledge that the EU and US see this issue differently. Transatlantic trade should not be a pretext for dismantling practices which fortify public safety in Europe. ECDC/EFS annual report on zoonoses and food-borne outbreaks. February 2014. Which? online survey of 1,406 UK adults (aged 16+) conducted between 10 Feb-14Feb 2011. 60% of respondents were unlikely to buy chicken that had been sprayed or washed with a mild acid such as lactic acid, and 67% were unlikely to buy chicken that had been treated with chlorine. Heikkilä, J., Pouta, E., Forsman-Hugg, S., Mäkelä, J. (2011) Consumer risk perceptions of zoonotic, chemical and gm risks: the case of poultry purchase intentions in Finland. Paper prepared for presentation at the EAAE 2011 Congress Change and Uncertainty. Sara Korzen, Peter Sandøe, Jesper Lassen (2011) "Don't wash my meat: public perceptions of decontamination in meat production", British Food Journal, Vol. 113 Iss: 5, pp.598 – 612. There is strong lobbying of this government by those seeing quick bucks from lower standards and deregulation. These greedy parasites are a serious threat. Can someone provide more insight and details on exactly who in this country is lobbying? I accept that USA sharks are but that is more understandable than our own people selling out for profit.